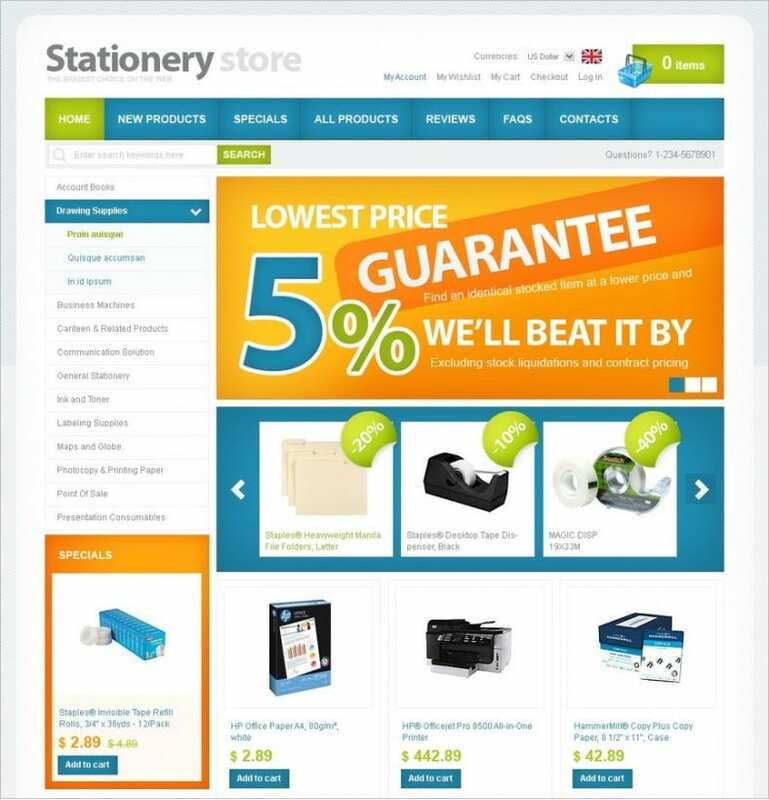 They are free, they are easy to use and you can download them any time from our vast collection of stationery Zen cart templates and start your online stationery shop. Tablet, smart phone or desktop – these Amazing Zencart Mobile templates will work equally well on all types of screen resolution and browsers. 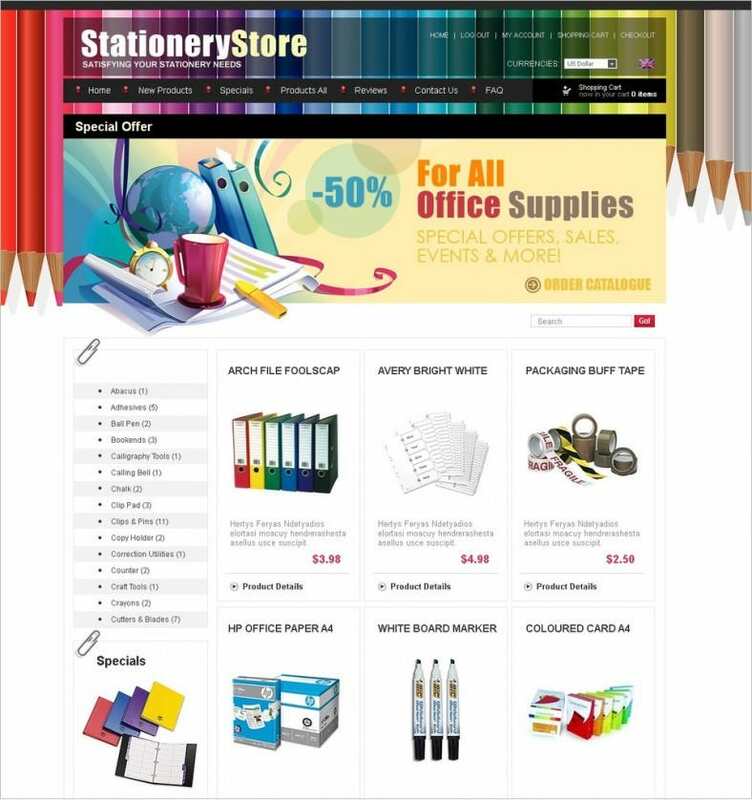 There are numerous items in a stationery shop and you can display all of them in an organized manner through custom made menu with different dropdown options. 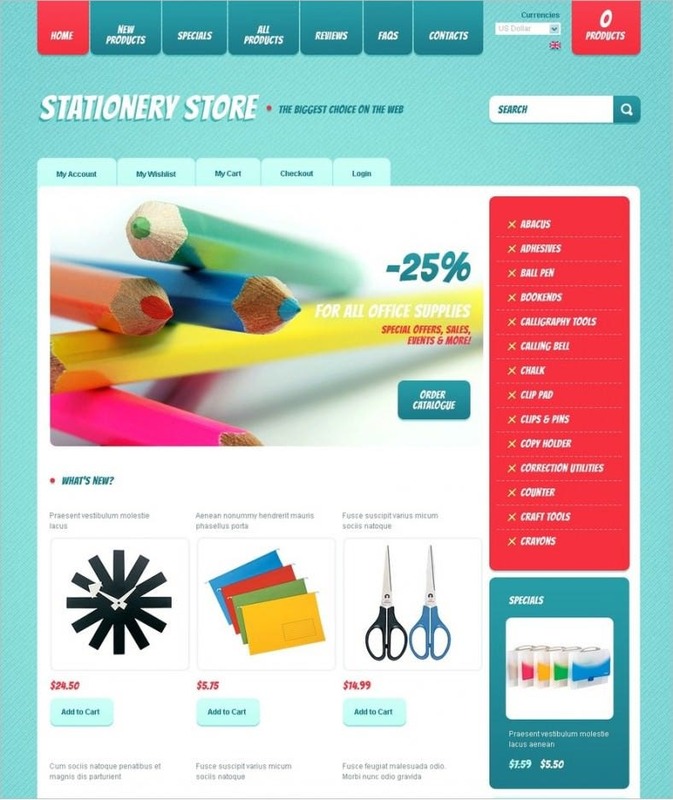 You can create specific category for each product along with thumbnail. 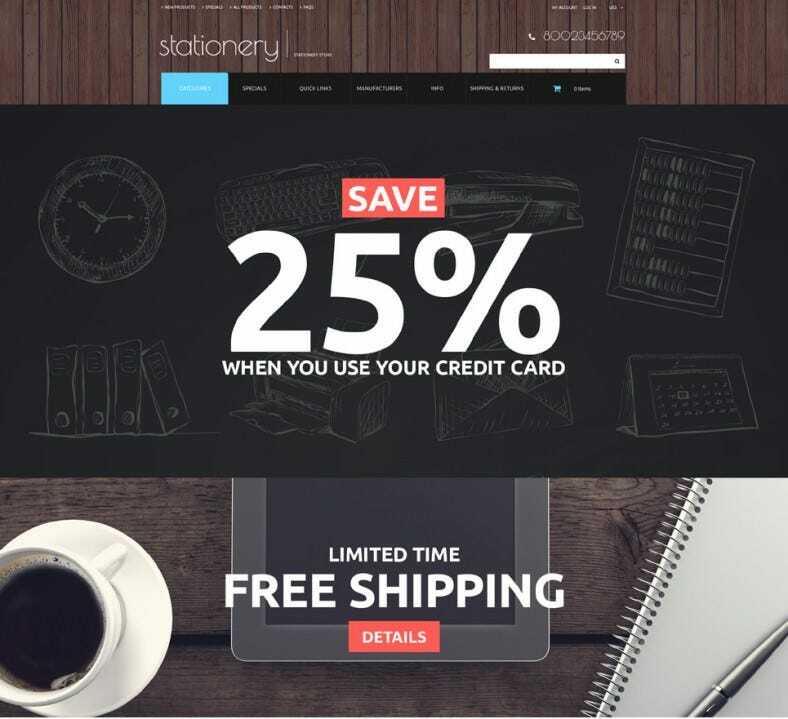 Free Zen Cart templates download allow you to display images and caption of products in a slideshow. 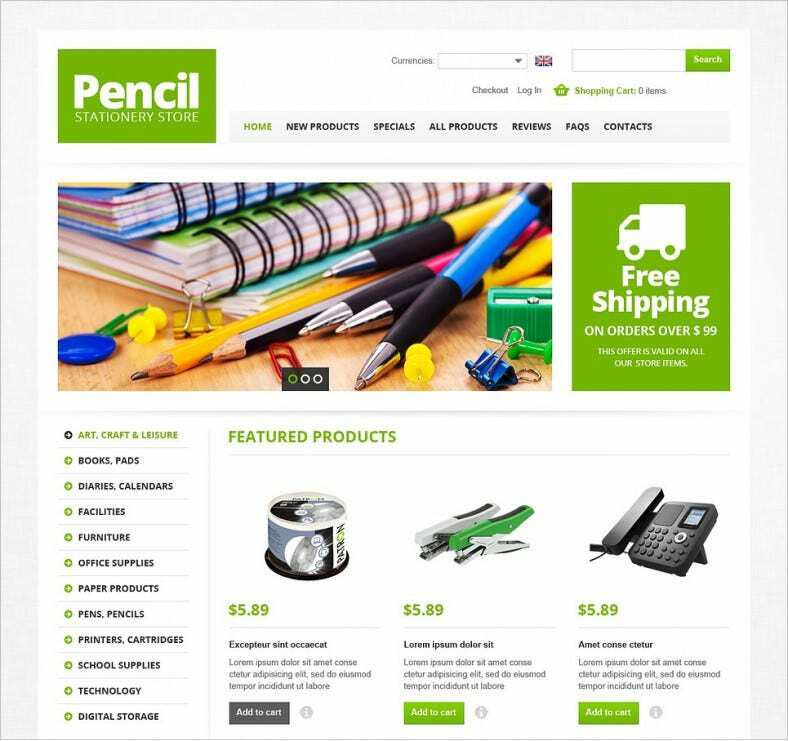 In free Zen cart templates, customers can view details of each product, select the options and add them to cart through quick view icon. 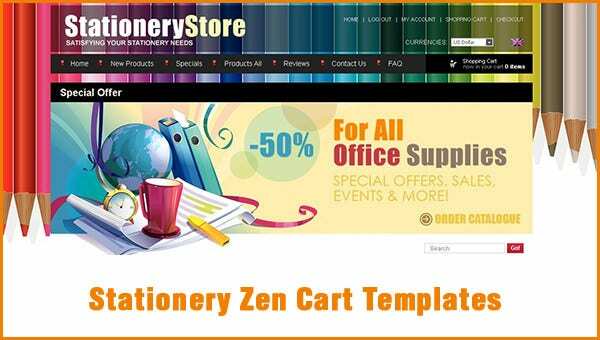 Start your online store within minutes with best Zen Cart templates free download.